From executive producer M. Night Shyamalan and based on the world created by author Blake Crouch in his international best-selling series of books, “Wayward Pines” is an American television series that premiered in 2015. This television program, lasting ten episodes, centers on a U.S. Secret Service agent named Ethan Burke and his investigation the disappearance of two of his fellow agents in the small Idaho town of Wayward Pines. Burke ends up in an automobile accident and wakes from it to discover that he is unable to contact the outside world, and he was unable to leave. He also discovers that one of the agents, a former lover, settled in the town, and the other agent is dead. 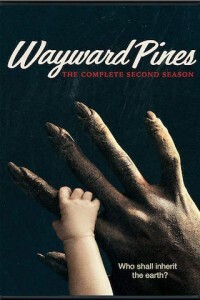 The second season will pick up after the shocking events of season one, with the residents of Wayward Pines battling against the iron-fisted rule of the First Generation. As events unfold in Wayward Pines, the thoughtful and philosophical Mitchum – a former teacher – makes a decision that will affect the fate of Wayward Pines and every resident living there.